Prof. Frank (Fuquan) Zhao is a Professor and Director of Automotive Strategy Research Institute at Tsinghua University, China (since May 2013) where he leads a strategic research group on automotive industry policy, corporate management and technology strategies. Prof. Zhao received a doctorate degree in Engineering from Hiroshima University in Japan in 1992 and has years of on-the-job experience in Japan, United Kingdom, United States, and China. Prior to joining Tsinghua University, Prof. Zhao had the experience of Vice President of Zhejiang Geely Holding Group, President of Zhejiang Geely Automotive R&D Center, President of Zhejiang Automotive Engineering Institute, and Chairman of DSI company of Australia since November 2006; Vice President of Shenyang Brilliance JinBei Automobile Company Limited and General Manager of its R&D Centre since 2004; and Engineering Specialist and Research Executive of Technical Affairs at DaimlerChrysler since 1997. 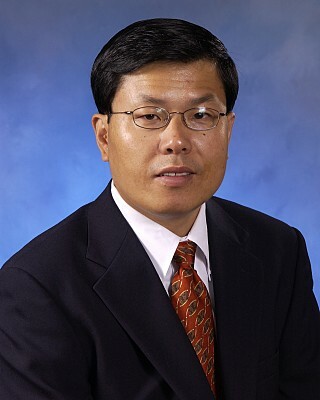 At DaimlerChrysler, Prof. Zhao was responsible for providing technical guidance and advice to product team managers and engineers within the corporation, relating to engine development issues and advance Powertrain technologies. He represented the Chrysler Group in various consortium activities. Prof. Zhao led the development of nearly 20 passenger cars, SUVs and more than 10 powertrains at Brilliance and Geely since his return to China in 2004. Also, Prof. Zhao had extensive experience in international acquisitions and overseas operations, including Geely's acquisition of British Manganese Bronze Holdings, Australian DSI Holdings, and Volvo Car Corporation. In addition, he was also heavily engaged in the strategic collaboration with these companies. Prof. Zhao has published five books and more than 300 technical papers in English, Japanese and Chinese, and owned more than 200 patents. Prof. Zhao received many recognizations in his career including but not limited to the 2001 SAE Forest R. McFarland Award, Fellow of SAE in 2006, China Automobile Industry Outstanding Person in 2008, CTO of the Year in 2008 and Executive of the Year for Product Planning in 2009 by China Automotive News, the Silver Medal of National Scientific and Technological Progress in 2009, the Gold Medal of China Automotive Science and Technology Progress in 2012, and the Gold Medal of China Enterprise Management in 2012.